Rose, an 11 yr. old Golden Retriever, made history this week in New York when she sat in the witness stand with a 15 yr. old girl testifying in a sexual abuse case against Victor Tohom. This was the first time a dog was allowed to accompany a witness in the role of therapy dog in a NY court. 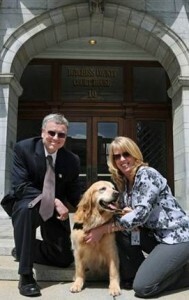 Senior deputy prosecuting attorney, Ellen O’Neill-Stephens, in Seattle, founded Courthouse Dogs to provide emotional support to victims and witnesses, especially children. 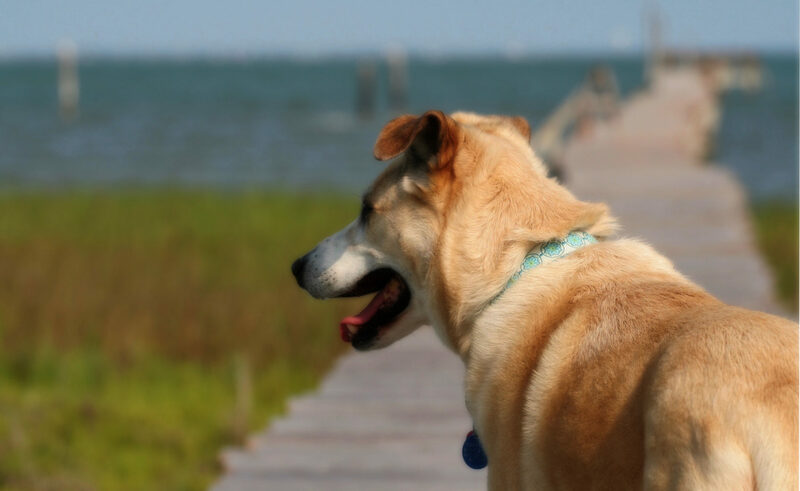 (Interestingly, she was inspired by her son and his service dog.) The dogs are specially trained assistance dogs and are handled by a criminal justice professional. 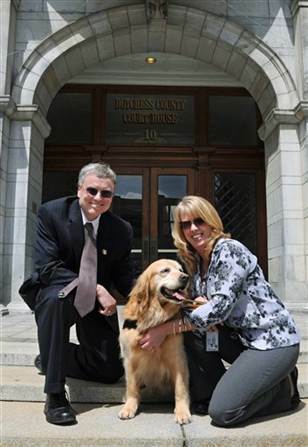 Courthouse dogs are actually there for everyone—victims, witnesses, defendants, lawyers, judges, law enforcement officers, etc. This seems like such a good idea, maybe especially for those who work in criminal justice. They see humanity at its absolute worst and it must take a great toll. 18 jurisdictions in Arizona, Idaho, California, Hawaii, Missouri, New Mexico, Pennsylvania, Texas, & Washington have courthouse dog programs. Cool!